Christine Blasey Ford told the Senate Judiciary Committee in her testimony on Thursday that one of the moments she remembers most vividly from her alleged sexual assault in 1982 was Supreme Court nominee Brett Kavanaugh and his then-classmate Mark Judge‘s laughter. Ford stated this in response to a question from Sen. Patrick Leahy (D-Vt.), about what she recalled most strongly from the alleged incident. “Indelible in the hippocampus is the laughter, the uproarious laughter between the two and their having fun at my expense,” said the 51-year-old psychology professor. Ford also answered questions from Rachel Mitchell, an Arizona prosecutor selected by Republican members of the Senate Judiciary Committee because there are no female Republicans on the committee. 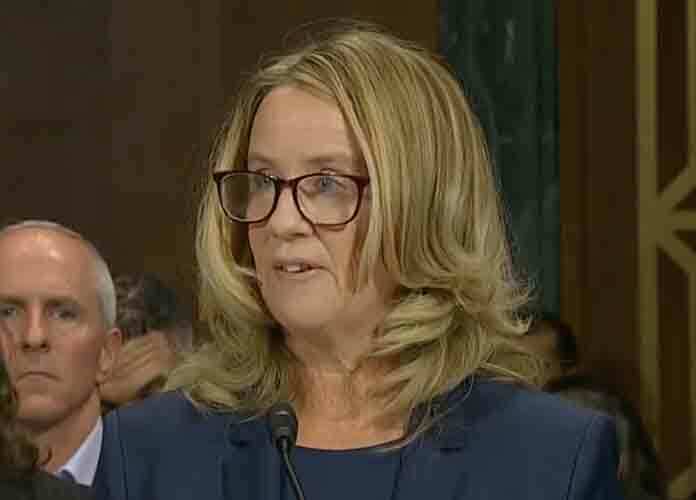 Sen. Chuck Grassley (R-Iowa), the Committee Chairman, stated Mitchell was hired to “de-politicize the process,” which up until her inclusion would have only involved men asking Ford questions. Ford is one of four women to accuse Kavanaugh of sexual assault. The 53-year-old Supreme Court pick has denied all allegations against him.